In the lawsuit, the singer says the ex-employee had secretly recorded "embarrassing" and "damaging" videos of her. Singer Mariah Carey has filed a lawsuit alleging that her former executive assistant attempted to blackmail her with illicitly recorded videos, in addition to other wrongdoing. In court documents obtained by TMZ.com, TheBlast.com and People magazine, the pop star, 49, contends that shortly after she hired Lianna Azarian, aka Lianna Shakhnazarian, in March 2015, the assistant "regularly made purchases for her personal benefit on credit cards provided to her by Mariah exclusively for business purposes." The legal proceeding states the woman "turned out to be a grifter, a Peeping Tom(asina) and an extortionist" who "secretly filmed Mariah engaged in personal activities which, if revealed, Azarian knew would be personally embarrassing and professionally damaging to Mariah." Azarian, whose salary according to the filing was initially $250,000 and rose to $327,000 before she was fired in November 2017, "displayed the intimate videos to her friends and co-workers" and "expressly told a co-worker that were she ever terminated … Azarian would sell the video for a profit and buy herself a home." The lawsuit contends the assistant "blackmailed Mariah by threatening to 'go public' with the videos she surreptitiously took ... unless Mariah paid her $8,000,000." Five-time Grammy winner Carey, who was born in Huntington and raised in Greenlawn, is suing for breach of contract, extortion and invasion of privacy. The singer is also seeking damages of more than $3 million and asking that any goods Azarian bought with Carey's funds formally be ruled the singer's property. 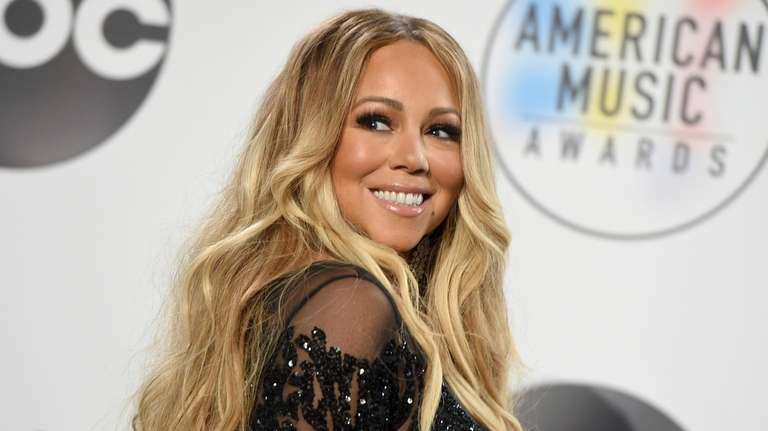 "This new year welcomes Mariah's continued efforts to clean the trash from her life," a representative for Carey said in a statement Wednesday. "According to a complaint filed today in California, an executive assistant employed in 2015 to help with business and personal matters, turned out to be a grifter and extortionist." The statement went on to say that, "Given that the evidence against this former assistant is vast and deplorable, we anticipate a victorious resolution." Azarian, who appeared on Carey's 2016 E! reality series "Mariah's World," did not respond to People magazine's request for comment. Carey has not commented on social media.